A new report calls for massive investment to add a generation worth of production. Around £200bn will need to be spent to add a generation of productive life to the oil and gas industry in the UK, according to a new report. 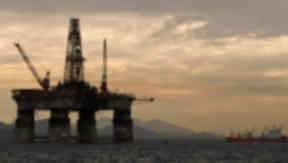 Oil and Gas UK's (OGUK) Business Outlook 2019 said that exploration and production (E&P) companies would need to spend that amount to fulfil the goal of achieving a total output of at least one million barrels of oil equivalent per day (boepd) in 2035. The report says that around £9bn is currently allocated within companies' business plans to maximise the recovery of oil and gas from existing fields within the North Sea. It stresses the need for E&P companies ensure committed investments are received to deliver 3.5 billion barrels of oil equivalent (boe). Under the vision outlined the report, more than 5 billion boe will need to be unlocked from the North Sea, requiring up to £70bn of fresh investment. It says that between £20-30bn would be needed to fulfil projects currently being considered by oil and gas exploration and production companies, although stresses further work is required to "improve the economic and technical viability" of many of those opportunities. Oil and gas exploration and production companies need to spend £110bn over the next 16 years to support recoveries from the North Sea. With some 320 oil and gas platforms in UK waters, the report estimates that around £1.5bn will be spent each year over the next decade on decommissioning projects in the North Sea. Based on this, it projects a total cost of between £20-25bn over the next 15 years.